Clearfork Academy is an excellent 90-day or longer inpatient drug, alcohol and substance abuse rehab program for boys age 13 – 17, located on a strikingly beautiful campus near Fort Worth, Texas. Clearfork is a 90-day program because it believes that a typical 30-day rehab does not allow nearly enough time to enact real change in the life of a teen. Outpatient services are also available for those who live in the Fort Worth area. Clearfork works with and accepts insurance on an out-of-network basis, and are in-network with Blue Cross/Blue Shield of Texas. Clearfork Academy provides dual-diagnosis treatment for mental health, substance abuse, behavioral problems, poor decision-making skills, excessive familial conflict, self-destructive friendships and relationships with the opposite gender, or struggles with life-altering problems such as depression, anxiety, suicidal ideation, and other mental health concerns. Individual, Group and Family Therapy are provided by qualified licensed clinicians based upon the boys needs. The program centers itself around seven Biblically-founded core principles for living a full and abundant life as both as a leader and as a man. The team at Clearfork works daily to redirect struggling teenage boys from self-destructive or apathetic mindsets toward healthier thinking, healthier living, and a “hustle and fun” attitude. 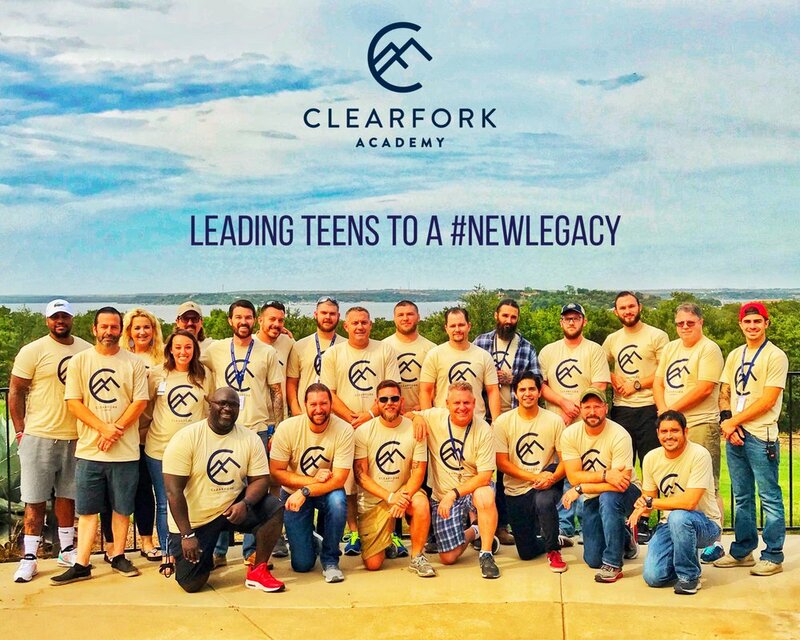 Clearfork Academy provides tons of outdoor experiential activities, opportunities for good clean fun, and a team of men who daily act as mentors, disciplers, and upbuilders. The team at Clearfork also works directly with families both remotely and on campus to help educate, prepare and ensure that the transition home will be successful after completion of the program. Austin Davis, the founder and director of Clearfork Academy, is a former youth pastor, retains a Master’s Degree in Counseling, and is a Licensed Professional Counselor – Supervisor (LCP-S) in the State of Texas. We have spent a good amount of time with Austin over the years and find him to be an upstanding, excellent man who loves the Lord and desires nothing but good for both the students and staff at Clearfork Academy. His work helping struggling boys comes out of his experience as a youth pastor, having seen a great need for Christ-centered, competent, compassionate help for teenage boys in the mental health and rehab world. We love Austin’s heart and his drive to build an excellent program with an excellent team. If your son or grandson is struggling with drug or alcohol abuse, addictions, or mental health, we believe Clearfork Academy is a fantastic 90-day option. You would be hard-pressed to find a short-term rehab program as well-founded as Clearfork Academy.